Wedding & Party Season is gaining momentum and is due to peak in July. For an informal party it often works well for guests to help themselves from a buffet and sit where ever they choose. 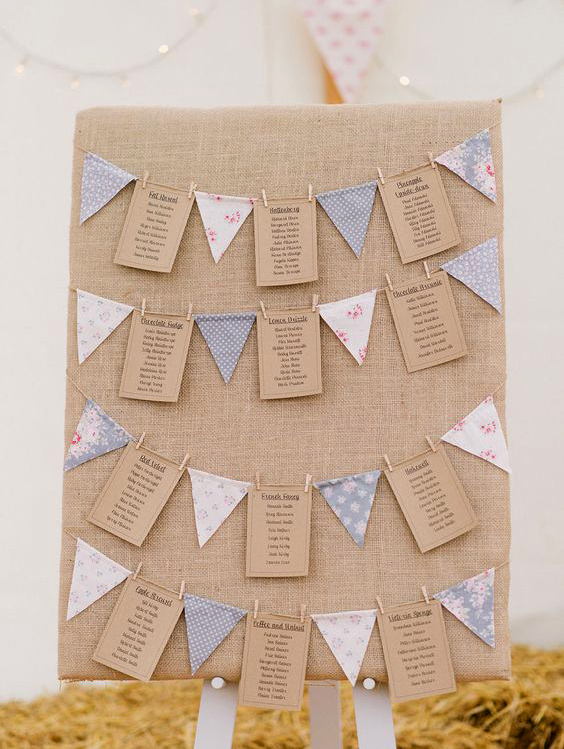 For a larger, formal party and especially a wedding then a table plan is essential. 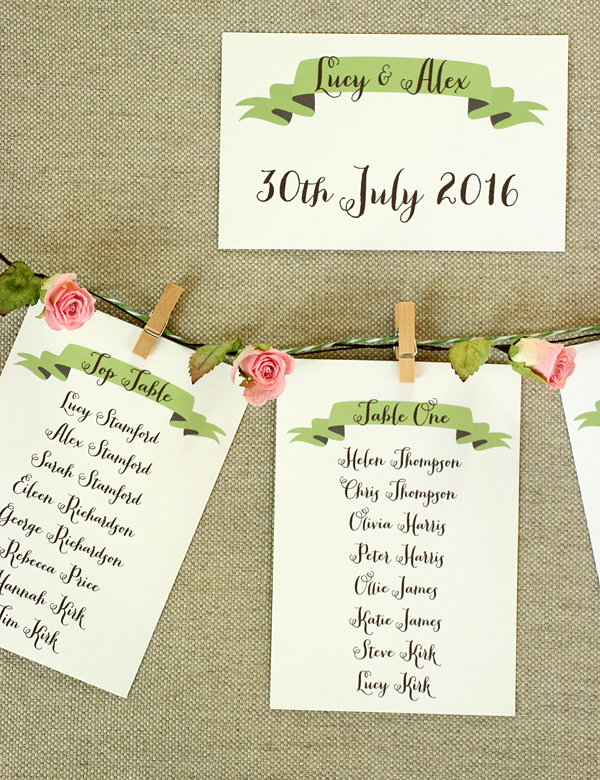 The ‘top table’ must always include the most important guests – for a wedding the bride and groom & their parents, best man & bridesmaid. Tables may then be numbered or named after something significant such as favourite places. 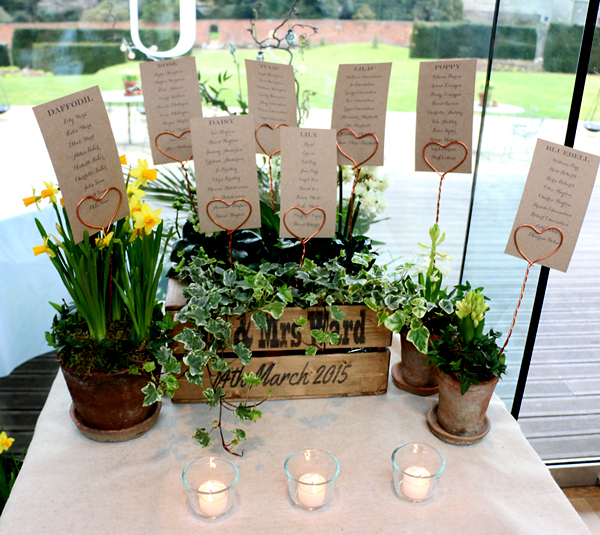 For a pretty rustic style wedding, these kraft table plan cards (a custom order) were arranged in a personalised box. 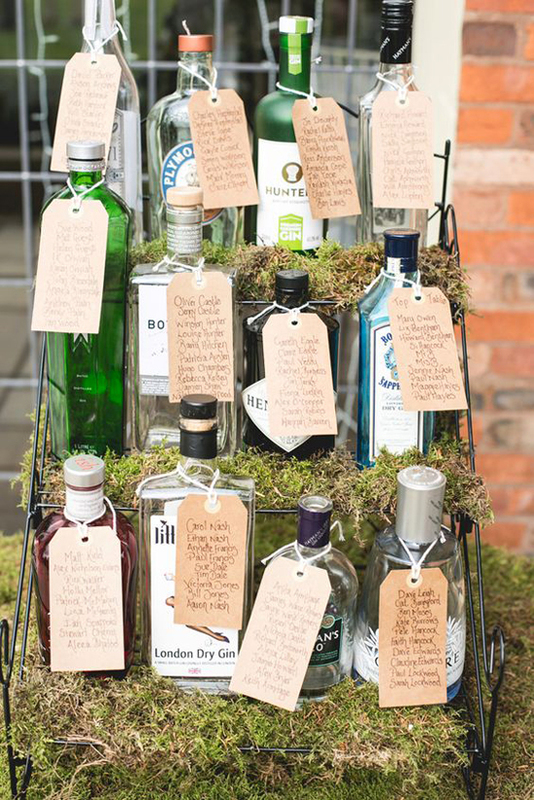 For something very different, I love this idea of using gin bottles, photographed by Mark Williamson for Bride magazine. 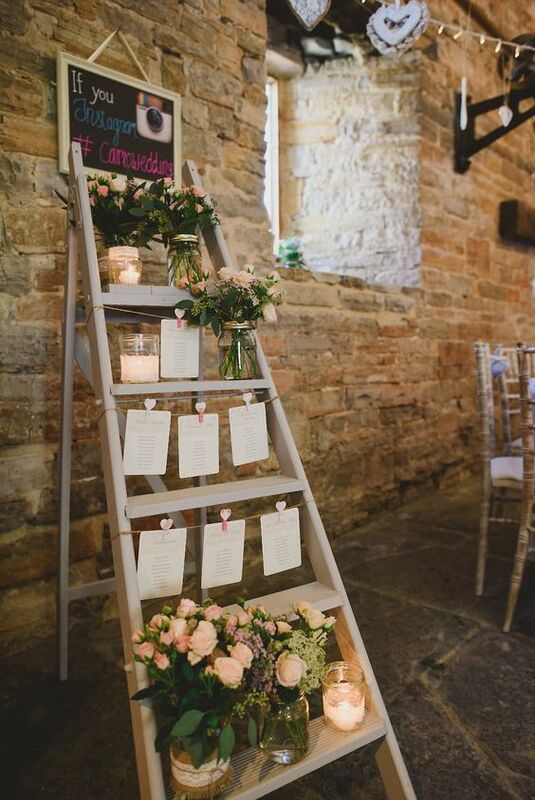 This table plan styled on a vintage ladder is beautiful with the addition of jars of flowers, photographed by Sam Gibson. 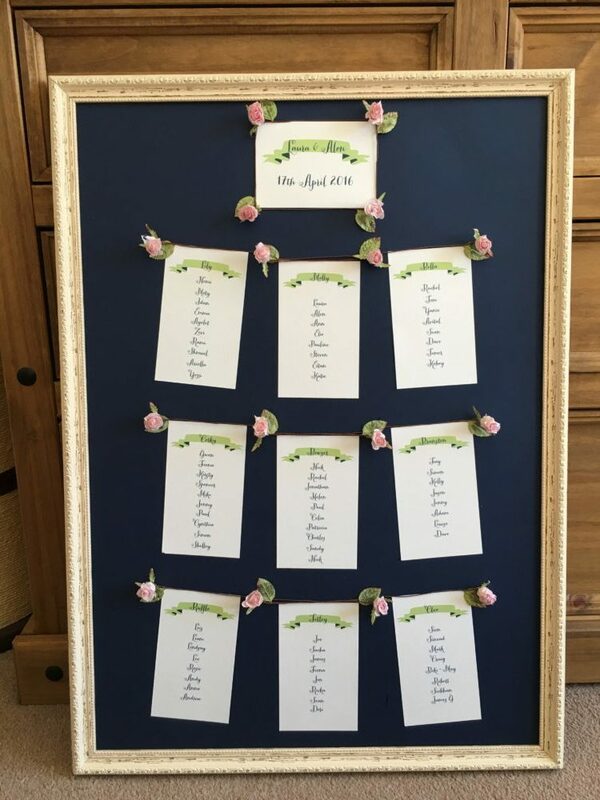 This entry was posted in Latest News, Uncategorized and tagged table plan.